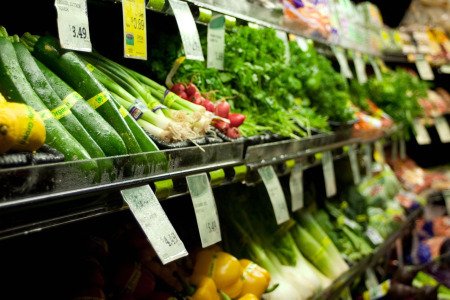 Supermarkets are found in every city and state within the United States, each offering foods, drinks and other supplies essential to our lives. These supermarkets are highly competitive with one another, each trying to get a new customer through their door. While there are several different options for a supermarket to promote, including through a website, social networking and sales fliers and advertisements, there is a new way to market known as SMS marketing that you should take a look at. SMS marketing for supermarkets ensures that your store is on the cutting edge of technology, reaching each and every possible person and helping build the long lines in your facility. You can reach more people with text message marketing, as it has success rates of 97%. These numbers are far higher than any other form of marketing that you will find. SO just what is SMS marketing? Some people call is text message marketing, but no matter what it is you call it, it is the process of sending a text message in relation to your supermarket to those who have signed up to receive such offers. The possibilities with SMS marketing are endless. You can use text messages to communicate with customers in a variety of ways, including offering coupons, informing customers of new sales, sending event alerts, sending alerts when specialty items are ready and available, to bring awareness to new store openings and so much more. One of the biggest benefits of SMS marketing is that it reaches people in real time. With other forms of marketing it could take days, weeks or longer for the message to reach the targeted individual. SMS marketing gets there when you want it to get there, not a minute sooner or not a minute longer. This is not the only benefit of SMS marketing, however, and should you start your own campaign you can learn what is to come for yourself. In the meantime take a glimpse of some of the things that you can expect with your campaign. Text messages work for supermarkets because everyone has a cell phone. Recent studies revealed that around 82% of all individuals carry a cell phone every single day, with 75% of those people utilizing the services of a text message service. Other benefits that can be expected with the help of SMS marketing include the chance to reach a larger age bracket of individuals, unlimited marketing opportunities, low costs and the chance to spread the word about your company. Target your offers and messages right and you can certainly count on a large number of people accepting your offer and walking through the doors of your store.